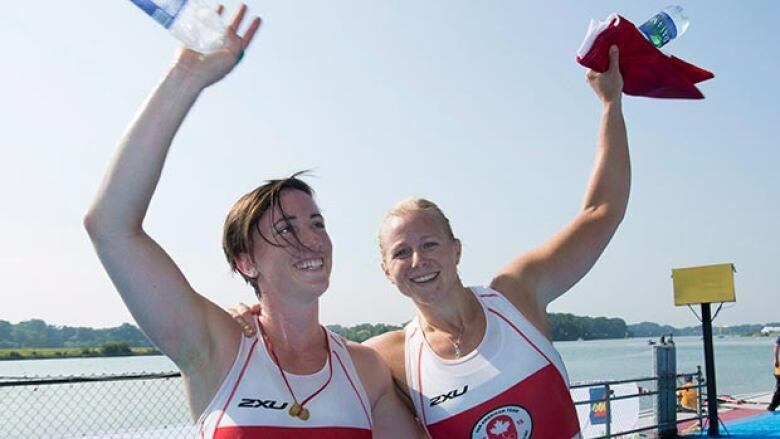 Kerry Shaffer and Antje von Seydlitz have won Canada's first rowing gold medal at the Pan American Games. Shaffer, from nearby Welland, Ont., and Von Seydlitz, from Smithers, B.C., finished the women's double sculls in seven minutes 13.01 seconds. Kerry Shaffer and Antje von Seydlitz have won Canada's first rowing gold medal at the Pan American Games. Shaffer, from nearby Welland, Ont., and Von Seydlitz, from Smithers, B.C., finished the women's double sculls in seven minutes 13.01 seconds. The Canadians were more than a second ahead of the United States sin silver position. Cuba was seven seconds back for the bronze.